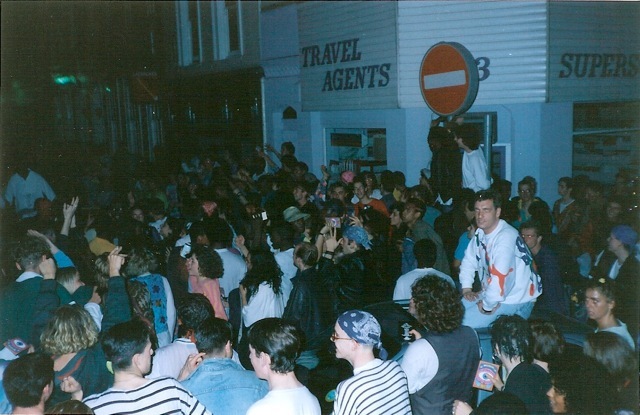 On April 11th 1988 the vast space that was (and still is) Heaven opened its doors to an ‘Acid House’ night. The problem was apart from around 200 people who frequented Shoom and Future nobody knew what Acid House was, let alone how to dance to it. 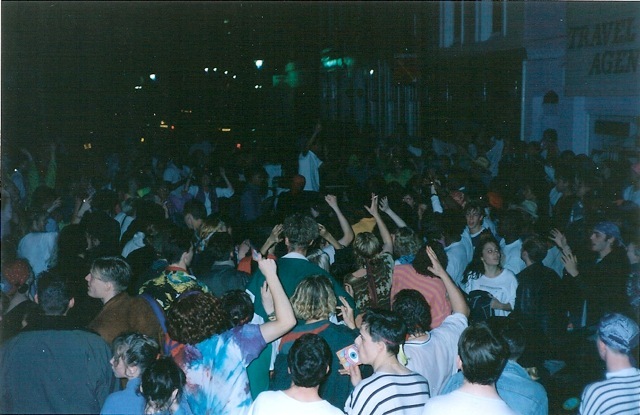 The promoters were Ian St Paul and Paul Oakenfold and the club held around 2,500 people. On the first night there were 124 people and everyone passing through the doors got a free E. Two weeks later there were still a hundred or so people wearing an odd mixture of Ibizan hippie and mid 80s football casual clobber trance dancing to music imported straight from Alfredo’s playlist of the 87 season at Amnesia. 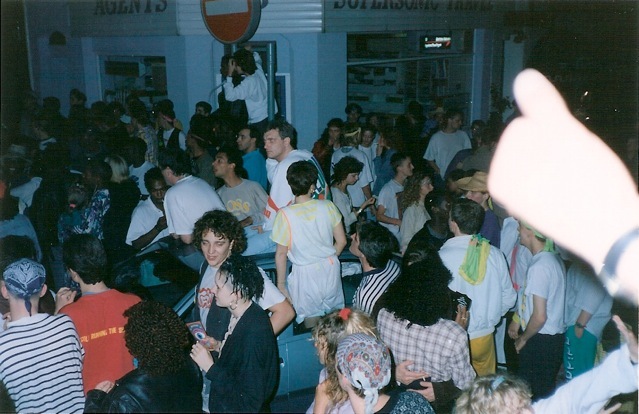 The main room also ended up as the birth place of the Acid Ted with bandanas and smiley t shirts replacing Chevignon and Chippie as the look of the sweaty fledgling foot soldiers. 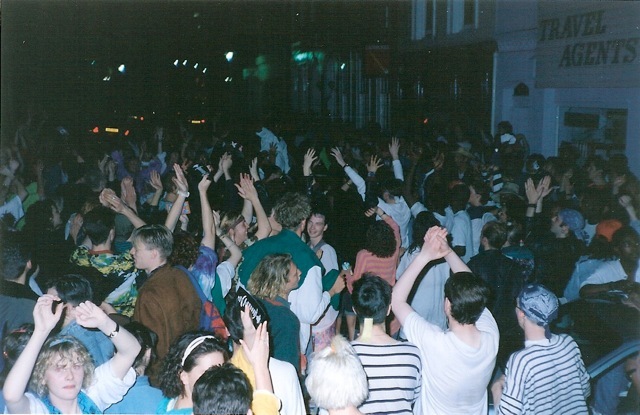 On the middle floor the kids who considered themselves too cool for downstairs, the three month Acid House veterans, danced to the more Balearic grooves of Roger the Hippie and Terry Farley. Big anthems up there ranged from Yello’s ‘The Race’, The Woodentops ‘Why Why Why’ to the Mamas and the Papas ‘California Dreaming’ and even Jackie Wilson’s 60s hit ‘The Sweetest Feeling.’ The look up there was more ‘future’ inspired – baggy jumpers, Lee dungarees and beat up Kickers. 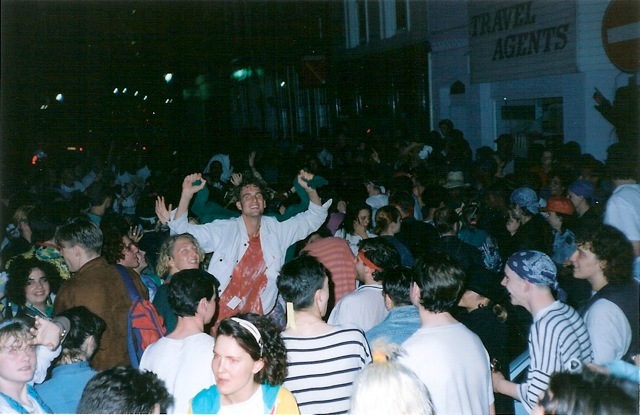 This piece originally appeared on Faith, home of acid house banter. Click here to read more from the chaps.